A park, skate park, and large wooden fort-style playground surrounded by a fence, all near to the water. 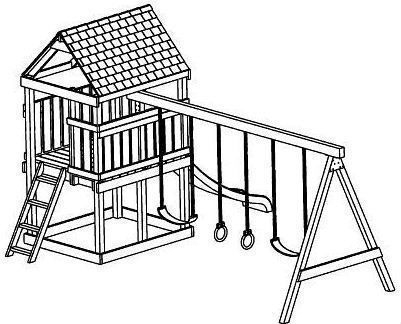 The wooden fort is a fantastic play space with sneaky corridors, stairs, platforms, slides, as well as swings (big kid, toddler, and one for children with physical limitations). Kids will love chasing around its various components and adults will love the fact that though a bit of a squeeze, its clever design means you can get in and about the whole structure to either retrieve your children, help younger ones with the steps and slides, or encourage less adventurous youth to explore. This park is one of several locations that holds the summer arts and crafts program, which also includes Grove Street Park, Hamilton Park and New York Avenue Park.